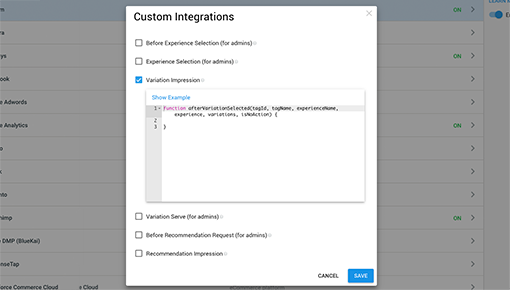 With Dynamic Yield’s integration with Adobe Analytics, you can share any Dynamic Yield optimization and personalization data with your existing Adobe Analytics account. This gives you the ease of analyzing your Dynamic Yield campaigns with a single view within Adobe Analytics. Using this integration, you can also create dedicated reports to analyze campaign performance and use exclusive Dynamic Yield data to filter and slice your other Adobe Analytics reports. 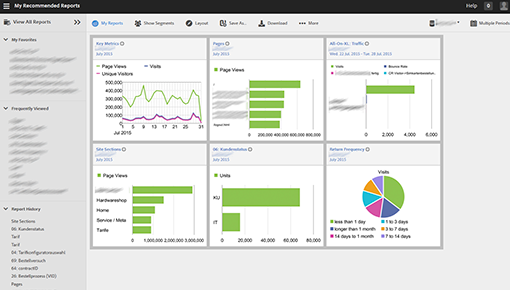 Access and analyze information relevant to your site visitors that were served in a personalized Experience variation to create dedicated campaign reports directly within your Adobe Analytics account.